The allure of Turin is its style. The city is not flashy or showy, but elegant while never being overbearing, grand but not intimidating. It’s a city of 2.2 million inhabitants, but if you walk through it at 3 pm on a Wednesday afternoon, it will feel as quiet as my hometown of 4,000. It is, essentially, as other Italians have called it, una città provinciale, a provincial city. Don’t expect a pulsing metropolis when you visit, in other words—that’s not Turin’s style. Instead, the image of Turin is made of long, straight roads with arcaded sidewalks, Baroque palazzi, and, one of my favorite parts about the city, touches of art nouveau. 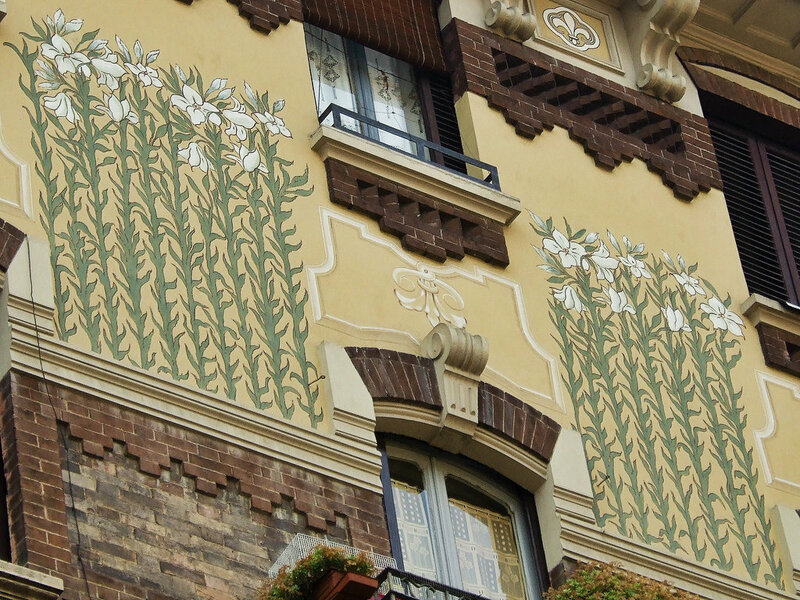 When art nouveau, or Liberty as it’s called in Italy, swept through the world in the first decade of the 1900s, several prominent Torinese architects embraced it. The city became the “Liberty capital” of Italy, and this can still be seen in many buildings today. Art nouveau was the counter movement to the previous era’s stiff-necked academic art, taking inspiration from both nature and geometric design (think Art Deco, simultaneous but also longer-lasting), and I love the curving lines and floral motifs found in stained glass windows, extravagant entryways, and endless details, from sidewalk-level window grates to the stenciled designs at the tops of buildings. Art nouveau is peppered throughout the city, but some neighborhoods have showier buildings. My favorite spot to wander, head up as I heedlessly cross streets without looking both ways, is called Cit Turin. It’s a small neighborhood to the northwest of the Porta Susa train station, right beside San Donato and Campidoglio. If you take the metro stop to Principe d’Acaja, right as you step out of the metro, you’ll be greeted by one of my favorite art nouveau buildings in the city: Casa Fenoglio-Lafleur (Pietro Fenoglio, 1902), along Corso Francia. Cit Turin extends north and south of Corso Francia, and you don’t have far to walk to see some of the most beautiful art nouveau buildings beyond this point. Try walking along Bagetti, Eandi, and Jolanda to the south. Before crossing over Corso Francia to check out the Liberty buildings on the opposite side, don’t miss the Palazzo della Vittoria, because one word: dragons. So many dragons. On the other side of the street, head down Beaumont, Piffetti, Le Chiuse, and Cibrario. If you’re out on the town for the day and you’ve finished ogling art nouveau in Cit Turin, head towards the city center to the diagonal road Pietro Micca. Along the road is one of the most photographed buildings of Turin besides the Mole (no, I didn’t actually look at numbers, but I always see pictures of this building on Instagram, and that’s basically the same thing): the Palazzo Bellia (Carlo Ceppi, 1898). 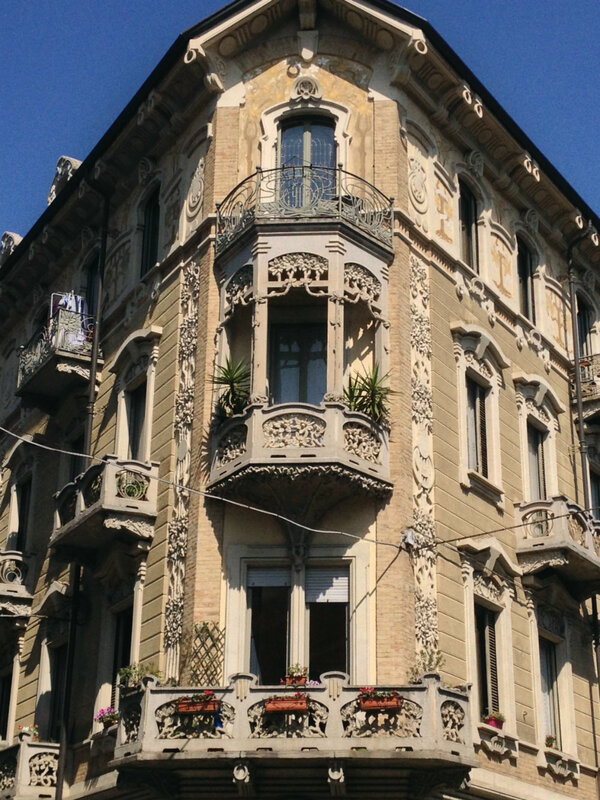 There are several other art nouveau neighborhoods in Turin, most notably the dreamy villas on the other side of the Po River in an area called Borgo Po (literally “Po Neighborhood”). Of these, I have to point out Villa Scott (Via Lanza 57, quite a bit out of the city center if you’re on foot). Lovers of classic horror films—and I mean *really* classic, like when the genre was still budding in the 1970s and you didn’t have to close your eyes every three seconds—might recognize it as the notorious home from Profondo Rosso, or Deep Red by Dario Argento. And on a side note, anyone coming to visit Turin should watch the movie! Finally, a great reference for finding specific buildings is on the website Torino Insolita. 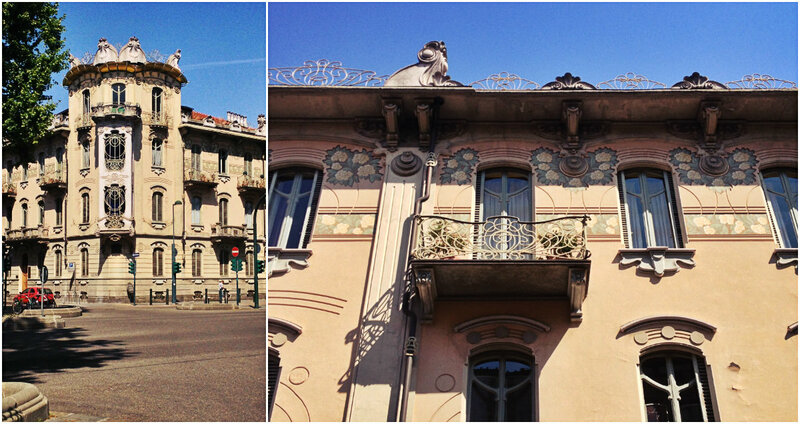 You can also look at the other zones where art nouveau is found in Turin, like Nizza and Crocetta. Interesting post. I love the “Liberty” style of which there are many examples in Reggio Calabria as the city was totally destroyed in 1908. I love the style of Turin, Tanja! This is a very motivational post! …on our way next May. You’re definitely whetting my appetite. Glad to hear you’re planning to visit Turin! Beautiful city. Thanks for reading! I did not see the Cimitero, unfortunately. When I’m next back in Turin, I’ll keep you posted and maybe we can look at some new Art Nouveau architecture I haven’t seen yet. The architecture of these buildings is amazing! Great post! It really is, they’re so beautiful. Thanks for reading!